Posted in Press Releases, Racist Discourse - Violence, . On Monday 19/06/2017, the prosecutor of the Supreme Court Mrs. Demetriou met in her office representatives of agencies and organizations (Hellenic League for Human Rights, Pakistan Community of Greece UNITY, SolidarityNow, Migrants Integration Council of Athens, Movement United against Racist and the Fascist Threat (K.E.E.R.F.A.) 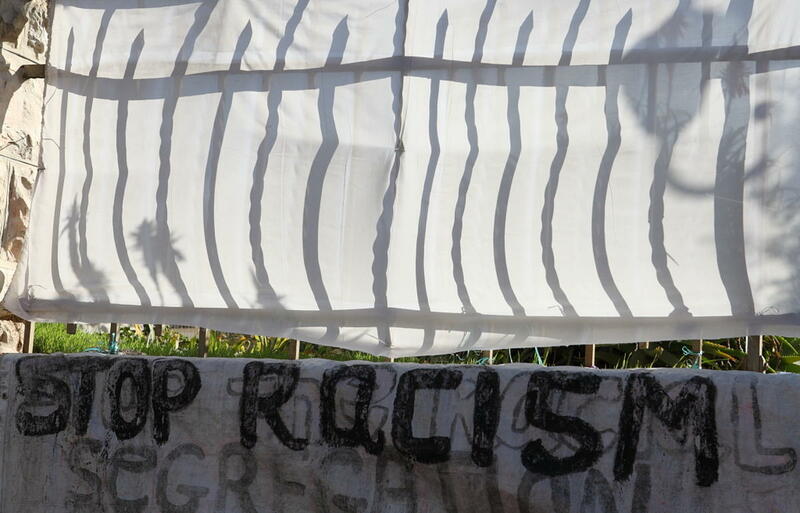 and the Greek Forum for Migrants) regarding the case of racist attacks in Aspropyrgos. The racist attacks in Goritsa Aspropyrgos during the last eight months are coordinated and recurring. These are acts of extreme and murderous violence by a group of perpetrators with a reoccurring modus operandi. The victims are mainly Pakistani land workers, however their Greek employers have also been targeted. It should be noted that the local police station has shown throughout this time unacceptable tolerance towards organized racist violence, given that the victims have already recognized the perpetrators of the attacks, but without any results. The prosecution report includes details of the attacks while photographic material and videos in relation to the actions of the group were filed to facilitate the authorities’ investigations and to clarify the attacks in order to ascribe responsibilities. The organizations’ request is to create a single case for all correlated lawsuits and to give the appropriate importance and priority to a criminal phenomenon that directly threatens our social cohesion and democratic freedoms.